As a teenager in Christchurch, Peter Mander developed his yachting skills on the Sumner estuary. 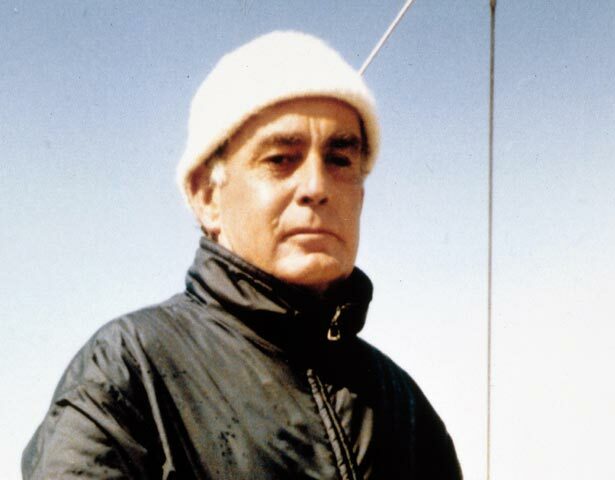 Mander would go on to win 16 national yachting titles in eight different design classes between 1945 and 1985. Mander’s greatest yachting triumph was his campaign for the 1956 Melbourne Olympic Games in the Sharpie class. New Zealand yachtsmen had never competed at the Olympics before. Mander formed a Sharpie syndicate with his brother Graham, Jack Cropp and Graeme Wilson to establish a local fleet for trials and selection. Then, with his crew mate Cropp and boat Jest, he travelled to Port Phillip Bay to take on the world’s top yachtsmen. In a fiercely competitive fleet, Mander and Cropp beat the Australian pair in a count-back to become New Zealand’s first yachting Olympic gold medallists. In 1951–52 Mander had been instrumental in establishing what was to become the New Zealand Yachting Federation. Later, he managed New Zealand’s team at a pre-Olympic regatta in Tallinn, Estonia, in 1979, and the following year was manager-elect of the yachting team for the boycotted Moscow games. He also helped set up and install the New Zealand team’s shore facilities for the 1987 America’s Cup regatta in Fremantle. Mander’s services to New Zealand yachting were honoured in 1972 when he was named Yachtsman of the Year, and in 1989 when he received the Yachting New Zealand Award of Merit. The following year he and Cropp were inducted into the New Zealand Sports Hall of Fame, and in 1992 he was made an OBE. Mander was also a prominent Christchurch businessman, active in the clothing industry. He died in 1998. We have 6 biographies, 2 articles, related to Peter Mander.